It is every adult child’s fear. Being away from their senior parent and finding out they have fallen and hurt themselves. Falls are extremely common in seniors and are the top reason that older adults end up in the emergency room. Falls can be a complete accident, a sign of a serious medical issue or an indication that a senior may need help at home. No matter what the cause is, the more you can do to ask questions when your loved one falls and get as much information as possible—the better. While no one ever wants their loved one to fall, the more informed you are and prepared you are the better. This is why we have listed some important questions to ask your loved one’s doctor after they have fallen, no matter how serious it was, or not. Have you performed a full examination to make sure there are no new underlying illnesses developing? This is something that every doctor should do after a fall and something that you should be fully informed of. Some common illnesses include dehydration, anemia, pneumonia, strokes and UTIs. What is my loved one’s blood pressure? Many falls are associated with fainting or light-headedness and if your loved one is taking blood pressure medication, they should make sure that their blood pressure isn’t dropping when they are standing. All doctors should be checking both sitting and standing blood pressure in these seniors. Have you done a blood test? This is always a smart idea after a fall, especially to check sodium levels, and particularly in seniors who have had diabetes or who take insulin. Are there any medications that may have caused the fall? Medications commonly increase the fall risk in seniors. Doctors should look at these medications and consider eliminating or reducing certain items if they think that this may have caused the fall. This may also be a way to find out if your loved one accidentally mixed medications. Does my loved one need a walking aid? Many times, falls can be blessings in disguise because they show seniors and their loved ones that they need a walking aid in order to get around safely. Your doctor should check your loved one’s gait and balance and determine if they need a walker, cane or other type of support. While we hope you will never have to use this information—the more prepared you are the better. 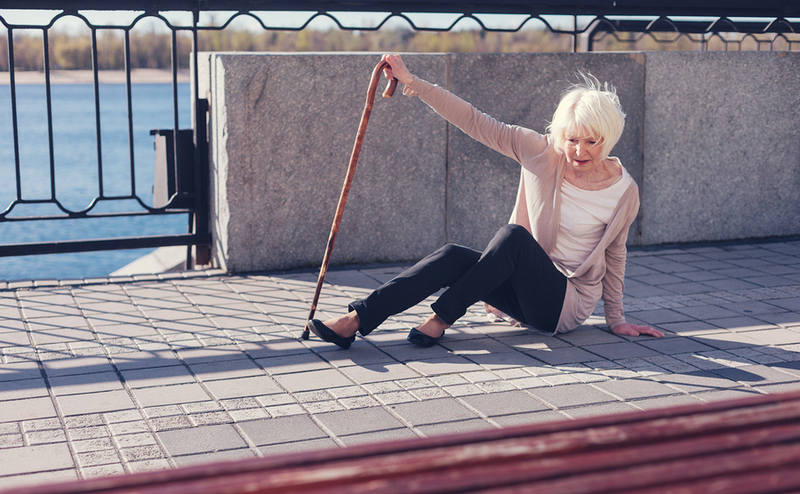 Seniors who have fallen before are at a higher risk of falling again. However, if you make sure that you get to the bottom of the issue, ask the right question and have your doctor check everything out for you, you can lessen your loved one’s chances of having another accident.